Acer is trying to cover all the bases with its back-to-school Windows PC lineup, announced en masse at an event Thursday in New York. The slew of new computers are all due out this summer, ranging from sub-$300 laptop-tablet hybrids to desktop replacements with dedicated graphics cards. They’re all shipping with Windows 8.1, and are all compatible for Windows 10 when it arrives (we think) later this summer. There’s nothing particularly remarkable here, but the starting prices are low, and some of the laptops have a neat-sounding feature that reduces blue light from the screen, so you can work longer without eye strain. Why this matters: Even if you have zero interest in Acer’s hardware, it’s worth noting that the company isn’t waiting for Windows 10 to release its back-to-school range. Microsoft is reportedly aiming for a late July launch, but we’re guessing many PC makers aren’t willing to leave the lucrative student shopping season to chance. 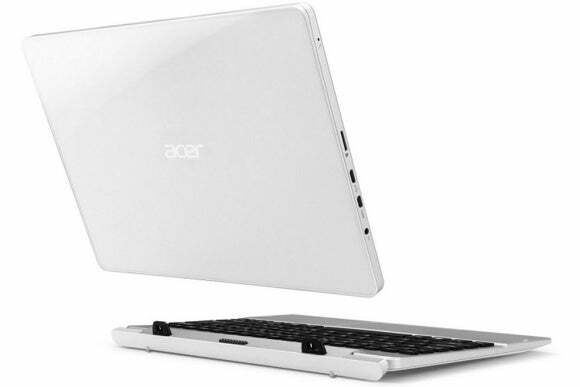 Acer Aspire R 11: This Lenovo Yoga-like convertible laptop has an 11.6-inch display with a 360-degree hinge. Other specs include an Intel Pentium processor, up to 8GB of RAM, and up to a 1GB hard drive. The display has special modes to reduce eye strain from blue light, and the battery lasts up to eight hours. It’s set for a July launch, with a $249 starting price. 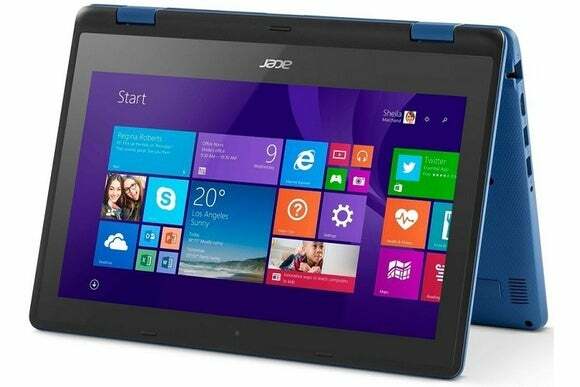 Acer Switch 10: A tablet-laptop hybrid with a 10-inch 1920x1200 resolution display, Intel Atom quad-core processor, 2GB of RAM, up to 64GB of storage, and a 2MP front camera. The tablet alone weights 1.31 pounds and measures 0.35 inches thick. A keyboard dock brings the weight to 2.64 pounds, and has an optional hard drive up to 1TB. It’s coming in July, starting at $279. Acer Switch 10 E: Another 10-inch 2-in-1 with a 1280x800-pixel display, Intel Atom quad-core processor, 2GB of RAM, up to 64GB of storage, and dual 2MP cameras. The tablet alone weights 1.39 pounds and measures 0.43 inches thick. With the keyboard dock (which has an optional hard drive up to 1TB), it weighs 2.82 pounds. Prices start at $399 with an August launch. 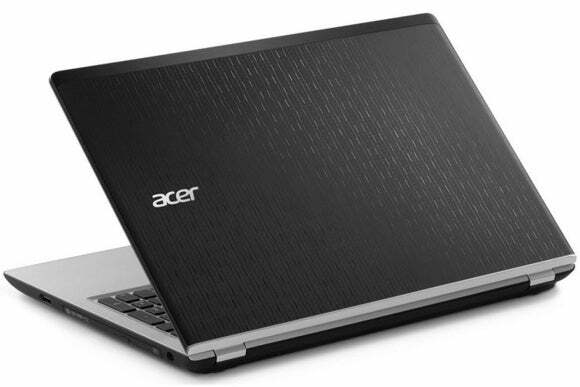 Acer Aspire V 15: This 15-inch laptop has an Intel core processor, Nvidia GeForce 940M graphics, up to 16GB of RAM and a choice of up to a 2TB hard drive or up to a 1TB solid state drive. It also has aluminum trim and a backlit keyboard. Acer says the starting prices are $599, but it’s unclear what you’ll get for tech specs at that price. Acer Aspire E: Acer’s meat-and-potatoes laptops come in 14-inch, 15.6-inch, and 17.3-inch flavors, all with Intel processors and a choice of Nvidia GeForce 940M or AMD Radeon R8 and R6 graphics. Other specs include up to 16GB of RAM and up to either a 2TB hard drive or 1TB solid state drive. Prices start at $379 for the 14-inch model—presumably with far inferior specs to what’s listed here—with July shipping. Acer Aspire ES: This looks to be a cheaper tier than Acer’s E Series, with five screen sizes ranging from 11.6-inch to 17.3-inch variants. They’ll have Intel Pentium or Celeron processors, up to 8GB of RAM, up to 1TB of storage and an optional DVD drive. Prices will start at $229 for the 11-inch model this July.